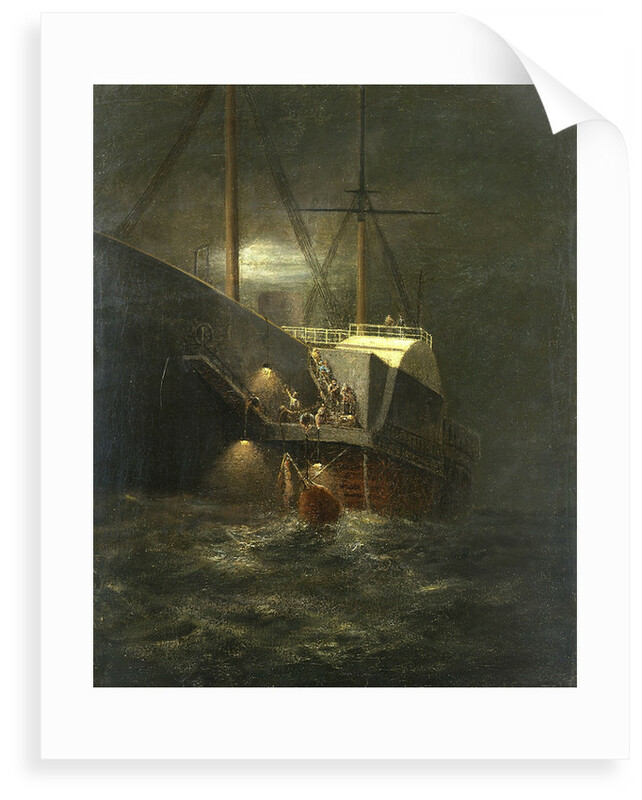 The painting records an incident on the 'Great Eastern' when a buoy was caught in the paddle of the steamship 'Great Eastern'. The buoys were being used as markers during the attempted recovery of cable lost overboard. Crew can be seen on the paddle frame trying to release the buoy. This event probably occurred during the laying of the transatlantic cable by the ship. 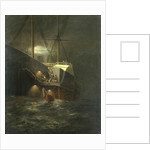 In this dramatic scene the silhouette of the ship is lit by the moon as it looms out of the darkness. A number of figures are shown involved in the attempt to free the buoy trapped in the paddle steamer. 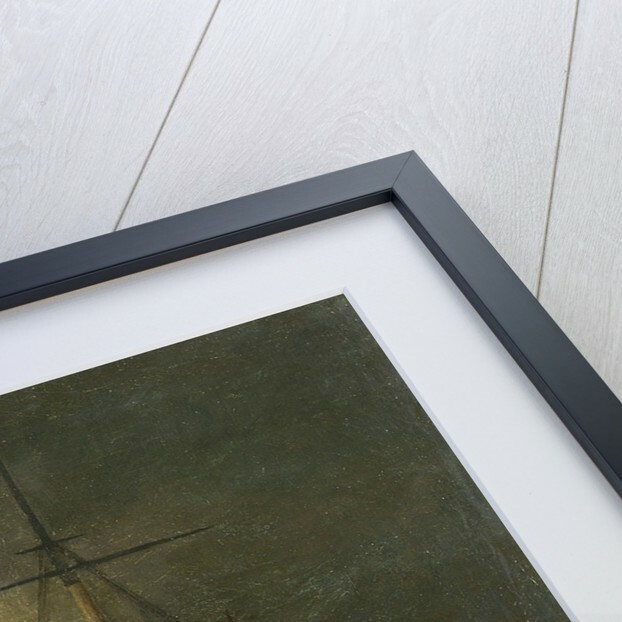 The artist was in charge of the cable paying-out machinery on the voyage. 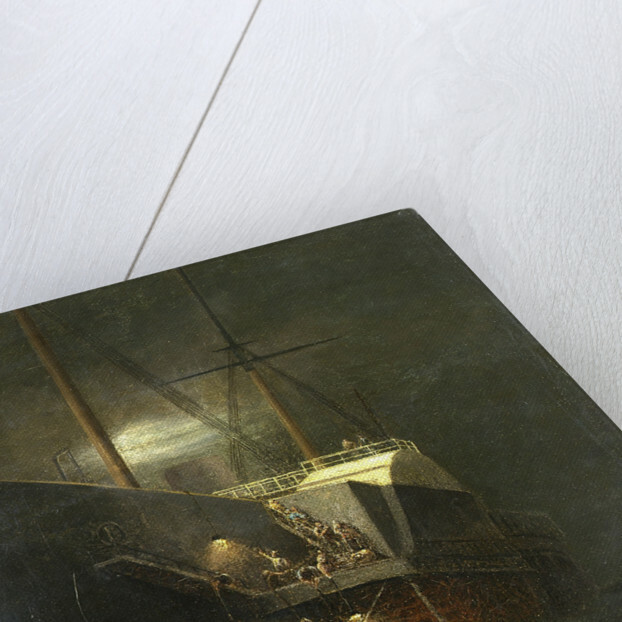 The 'Great Eastern' steam ship, launched in 1858, was the third and last of Brunel's major shipbuilding projects. It was built at the London yard of John Scott Russell and Company in Millwall and was initially known as the 'Leviathan'. There were many problems in both building and launching the ship and it was not afloat until January 1858 when it was renamed the 'Great Eastern'. The project bankrupted Russell and Brunel suffered a stroke and died soon afterwards under the strain of the venture. The public impact of the launch was enormous, she was cheered by huge crowds and praised in the press. However, even during her trials she had a major setback when a heater attached to the paddle engine boilers exploded and killed six firemen. 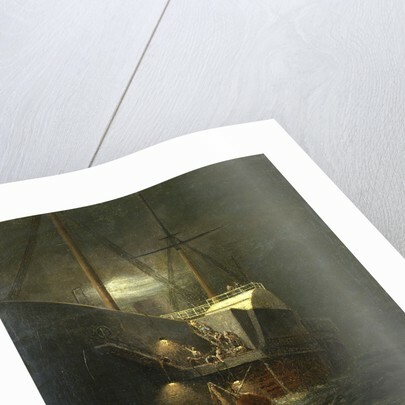 The ship only survived because Brunel's new construction method of dividing a ship up into compartments with watertight bulkheads limited the extent of the damage. Brunel died very soon after hearing of this disaster. More by the artist Henry Clifford.